For the past few days, I was invited to met one of the famous chef, Chef Peng Yi Chun at Si Chuan Dou Hua Restaurant, Park Royal Hotel. He is one of the chef that excellent in serving awesome Dim Sum cuisine. Chef Peng Yi Chun has more than 10 years experience of making dim sum in Chengdu before joining to Si Chuan Dou Hua on year 2005. 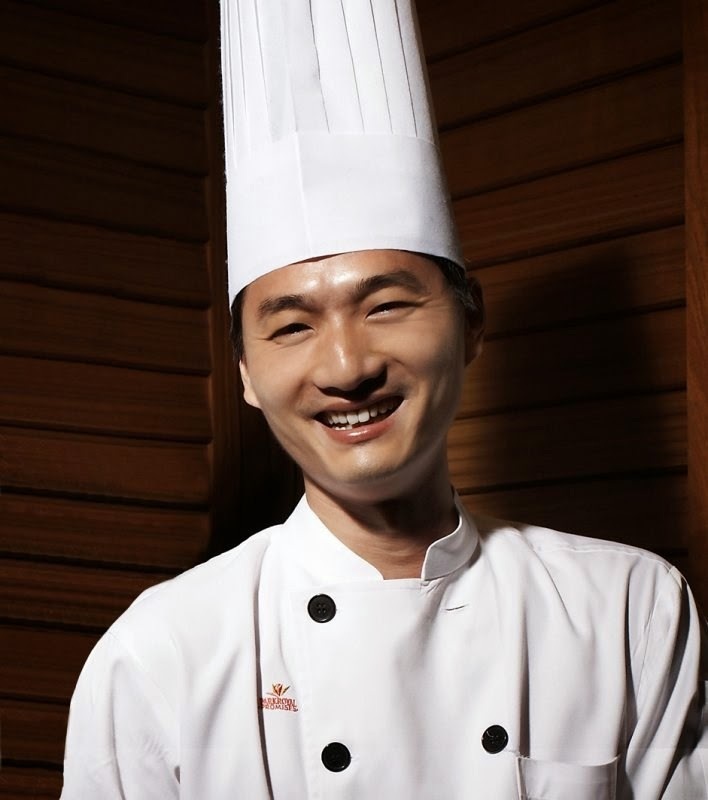 Not only that, in year 2011 and also 2012, Chef Peng Yi Chun was invited to appear on two Singapore television variety programmes "The Golden Age" and "Dessert Time", for demonstrating how to make specialities like Deep-Fried Custard and Aloe Vera Puff and Homemade Fine Bean Curd respectively. Here is some photo that I took during his demonstration at the Si Chuan Dou Hua Restaurant, Park Royal Hotel. He is showing his skill using knife. His skill of using knife is really incredible. It seem all is cut equally same size. This is the Carrot Cake with Dried Scallop. Before I end this post, I would like to thanks for wasting some time for reading this post and more awesome post will coming soon. Stay tuned and have an awesome day.